Trans boarding on Schengen flights. The new travel destination for private and business aviation on Italy’s magnificent Riviera. With a high level of attention to passenger privacy, Riviera Airport provides a discrete transit to your final destination in Italy, Monaco or France. 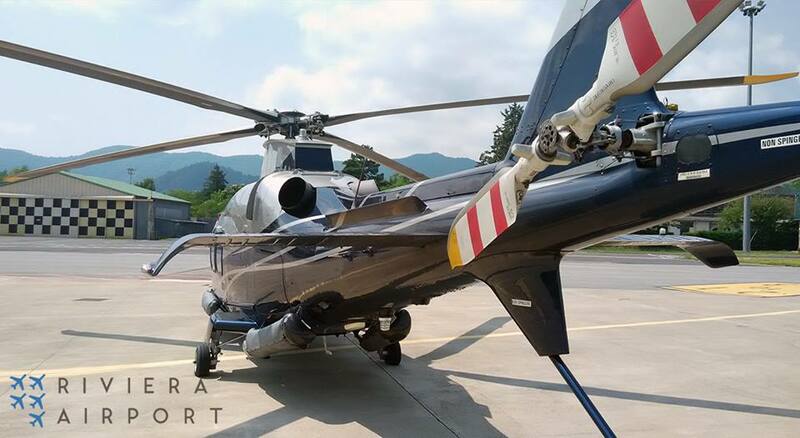 Located close to Albenga, our runway is only a few kilometers away from the most famous places in Western Liguria: San Remo, Alassio, Albenga and Finale Ligure. The Cote d'Azur is also easily accessible: you can reach Monte Carlo, Nice, or Cannes within an hour's drive by VIP car shuttle, or in less than 20 minutes by private helicopter. Our helicopter is available on demand for a fast transit to your next destination. Riviera Airport will be completely restructured in accordance with superior prerequisites – all flight services will remain operational during the reconstruction. In the near future you will arrive at an ultra-modern airport with a comprehensive range of high-end services for passengers and crew. To enhance your visit, our unique aviation services will include free Wi-Fi, new business lounges, a bar and a restaurant. The airport will also offer top-end private jet services with professional technical assistance and hangars for secure aircraft parking. The Riviera Airport looks back on nearly a century-old history of Italian aviation. Established in 1922 and named after the Italian fighter pilot “Clemente Panero”, the runway at Villanova d’Albenga was variously used for military, industrial and civil purposes. To date, the Riviera Airport is the home port of Piaggio Aerospace, the only remaining aircraft manufacturer in Italy. Apart from this, the airport is used exclusively to handle general and business aviation. The 1.5 km long runway can be used by aircraft with a take-off weight of up to 60 tonnes and offers private jets of all classes an interesting alternative to the overcrowded airports beyond the Italian border. Monte-Carlo can be reached in less than an hour by motorway, while a helicopter operator offers a 20-minute shuttle flight from the runway to the Principality. The sandy beaches of Alassio, the nearby golf course of Garlenda and the beauty of the Ligurian coastlines and mountains invite passengers and crew to explore and to rest. Due to good connections with the economic and tourist centres of the Italian and French Riviera, the airport offers significant potential for development. The Italian government in early 2016 privatised the airport. In collaboration with an architect team based in Milan, the new owner plans to completely modernise the airport and position it as an upmarket niche airport for general aviation. The runway will be extended by approx. 200 m and equipped with a modern GPS. 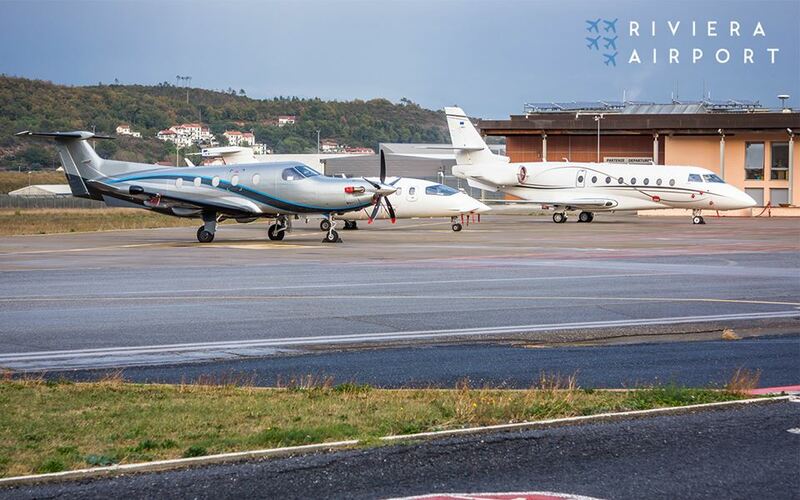 Contemporary hangars for jets and helicopters of all sizes will make the airport not only more attractive as an alternative travel destination on the Northern Med, but also, and more particularly, as a home port for jet owners and operators based in the region. Owners and operators of jets will find all service facilities on site and under single management: a technical hangar for inspection and maintenance, flight simulators, a hotel for crew and pilots, and new terminal buildings designed specifically for general aviation. The architecture of the future airport will be carefully embedded in the existing cultural landscape and will be constructed in a sustainable and environmentally conscious manner. Respect for the existing geological spaces will avoid industrial landmark architecture, but accentuate vistas and openings into the natural environment. With 300 days of sun annually, the Mediterranean light will be incorporated both as a source of energy and a catalyst for design in the conception of architectural ideas. But the challenge is also to respond to the aesthetic fascination of modern flying machines. Italian architecture provides a treasure trove of 20th century architectural and design history, on which the redesign of the airport is intended to build. Embodying the transition between earth and sky, from rest to motion, the open and transparent spaces of the new airport buildings will provide a pleasant transition from “land-side” to “air-side”. Moreover, the terminals will not just be a transit facility for hasty travellers, but serve as experiential spaces with exhibitions and installations of contemporary art. A deliberate and exclusive contrast to the cacophonous shopping malls of commercial aviation. Besides their functionality, the planned terminals are also places of quiet and reflection and should invite interested travellers to linger and enjoy the experience.